South Korea saw growth in the value of outstanding state and special bonds slow down in 2018 due to increased tax revenue and public agencies' asset restructuring efforts, data showed Wednesday. 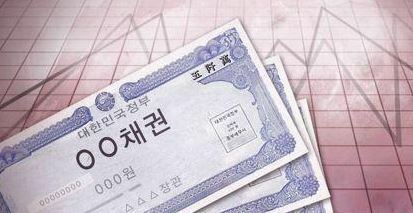 The outstanding amount of government bonds and debt issued by public institutions came to 969.2 trillion won ($864 billion) at the end of last year, up 1.7 percent from a year earlier, according to the data from Koscom Corp., the system manager of the South Korean bourse operator Korea Exchange. It was the lowest on-year gain since the global financial crisis a decade ago, and 2018 marked the fourth consecutive year of on-year decline. The 2018 growth rate was down from 3.9 percent in 2017, 4.3 percent in 2016 and 9.8 percent in 2015. The slowdown was attributed mainly to a sharp increase in government tax revenue. According to the finance ministry, the government collected 279.9 trillion won in taxes in the first 11 months of last year, up 28 trillion won from a year earlier and above the government's full-year target.